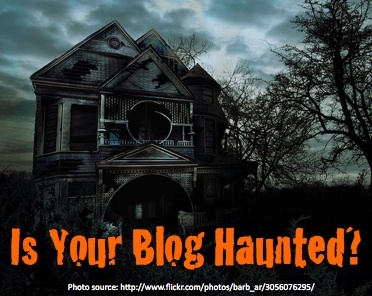 No blogger wants their blog to appear haunted. Rather, most bloggers would prefer to scare the ghosts and vampires away. In the spirit of Halloween, here are 31 blogging tricks to make you a superstar blogger. Ensure your blog’s skeleton supports a successful blog without scaring visitors away. Establish a strong blog foundation. Build your blog on your own URL using a strong blogging platform such as WordPress. While free options exist, they can hinder your blog’s ability to grow. Present your blog content consistently with a flexible theme. A blog theme is a set of templates that guide the presentation of your content onto a webpage and hold it together like a skeleton. Once you’ve selected a theme, it can be difficult to change this framework without impacting your content presentation. Enhance your blog’s effectiveness with appropriate blog plug-ins. Plug-ins are bits of code that augment your blog. Here are twenty blog plug-ins I recommend. Optimize your blog for speed. 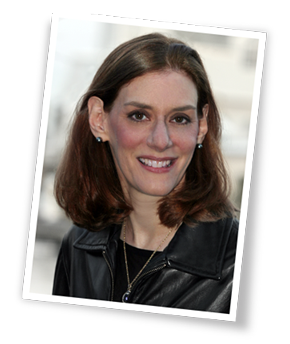 Your blog’s speed prevents prospects from abandoning your blog. Make sure your images are properly sized to load quickly. Check permissions before using other people’s content. You don’t want to find lawyers knocking at your blog’s front door because you’ve misused or plagiarized someone else’s content. That’s scary! Decorate your blog for success. Create a tailored blog design. Remember first impressions matter! Regardless of the type of blog you have (B2C, B2B, not-for-profit, or solopreneur), it’s important to dress your blog for success with a strong design that reflects your image. Show visitors you’re home. Include an About page so visitors know who you are. Readers appreciate knowing who is behind the blog and content they’re reading. Get rid of the poor grammar and spelling that scare readers away. It’s useful to have a professional copywriter or at least a second set of eyes reading the information before you post it. Get your blog in the spirit. Create meaty posts. Don’t let readers think that you’re posts are zombies filling space. Offer useful, non-promotional information. Focus each blog article on one keyword phrase. Ensure that your blog posts attract readers and search engines. Answer your prospects’ and customers’ questions. Not knowing what to do can be scary for some people. Make decision making easy for your target audience by using your blog to answer their questions. Develop content your readers seek. Understand your target audience by creating a marketing persona. Then craft information this persona would want to consume. To this end, an editorial calendar can be helpful. Include links, both external and internal. Like a hand reaching up from the grave, connect your blog posts to other parts of your owned content as well as third party content. Crown blog posts with killer headlines to attract readers. Strong headlines increase your posts’ chances of being read and shared. Add eye candy to your posts in the form of photographs. Images, especially photos attract attention. At a minimum, add at least one image per post. Decorate your content with non-text media formats. Incorporate video, audio and presentations to attract attention. Enhance your non-text content with search-friendly text. Don’t forget to add search friendly text to non-text content. Dress your blog posts dressed for success. Format your articles to facilitate content consumption. Think bolding and bulleting to help readers skim through your information. Incorporate a social media call-to-action to entice readers to take action. Make sure that the call-to-action is contextually relevant and leads readers to take the step you want them to take. Incorporate pinnable content. Think in terms of photographs and/or infographics that your readers want to share on Pinterest. Share your blog posts on other social media platforms. Signal that you’ve published new content. Offer RSS feeds and email versions of your blog content. Let your visitors choose how they want to get your information. Ask readers a question. This gets participants thinking about your content and pushes them to engage on your blog. Reveal your human side by responding to comments on your blog. When readers take the time to read your content, go beyond just saying thank you for your comment. Respond to what they’ve written. Show you’re involved in the blog community. Comment on other blogs. Don’t just leave spammy comments with links back to your blog. Contribute to the conversation. Build a relationship with the blogger and his readers. Give your best content to other blogs in the form of guest posts. Guest blog posts help expand your reach by leveraging other people’s audiences. It also provides a link back to your blog. Halloween is a great time to get your blog content aligned with your business’ goals. What other superstar blog tips would you add to this list and why? 10 Ways to use your blog to build influence. Tags Blog teicks, Halloween. Bookmark the permalink. 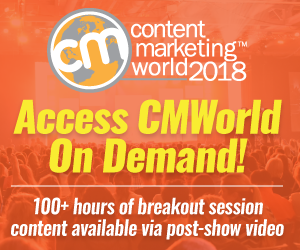 ← Content Marketing: What Do Customers Know That Marketers Often Miss? its really inspire me to work hard and got success like these guys get. thanks for sharing such a great information. Wow! I thought I had heard all the advice on blogging there was…this is great. Printing, re-reading and practicing! Thanks.